Friday, March 15, 2019 starting at 4:00 pm with about 10-15 minutes per group. Download the rehearsal schedule. 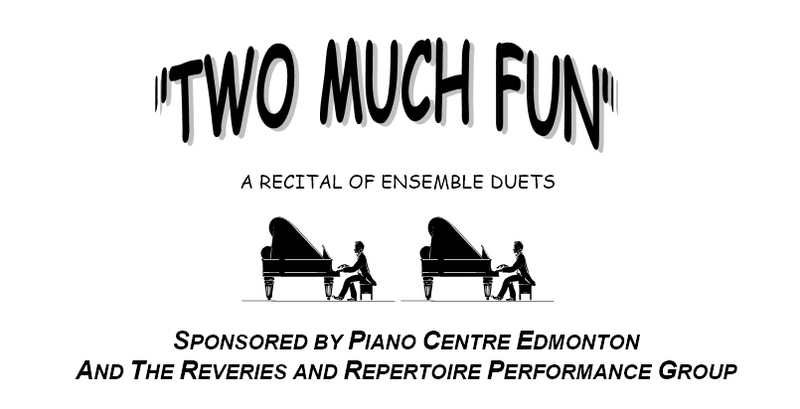 You must be able to attend the dress rehearsal in order to participate, since this is the only opportunity to put all the duets together in a larger ensemble! Saturday, March 16, 2019 at 3:00 p.m. Right click and use "Save link as..." to save the file to your computer. Recordings are at performance tempo, so if you're not quite up to speed yet, try using Speedshifter to slow the recording down!